About a year and a half ago, I stumbled upon “The Life Changing Magic of Tidying Up” by Marie Kondo. What began as a simple process of de-cluttering my life of material goods that served me no purpose turned into a shift in my entire way of thinking about STUFF. I was brought up to believe in the compulsive consumption that defines a majority of the western world today. I was stuck in a state of mind where I felt as if I “NEEDED” everything. I was fooled by the fashion industry to believe in the “it” thing of the nanosecond, constantly changing from one “it” thing to the next. The journey began with getting rid of my clothes. I used to stand in front of my closet each morning, and take thirty minutes just to choose what to wear. There was an overwhelming amount of options to choose from, and more often than not, I went back to the same set of clothes I wear every week. I started to realize that I had spent hard-earned money (or worse, money I didn’t even have if not for the massive amount of student loans I took out), on articles of clothing that I didn’t need, or want, or even like for that matter. This realization pushed me to start researching about the fashion industry and I began wondering how I could have ever thought I needed that much clothing. And as I delved deeper, I started asking more and more questions. How could they get away with making our clothes so cheaply? Where were the products coming from? Who made them? And I started turning towards more ethical lines of clothing when purchasing my clothes. Additionally, over time, I began purchasing less and less stuff. After going through so much work purging my closets (it took weeks and weeks! ), I did not want to go back to that state of being in excess. I started realizing that I needed less, or that I didn’t need anything at all. I became overly selective, scrutinizing every piece and grilling myself with the question, “Why?” Why do I feel the need to have it? Why do I think it will improve the value of my life? I then started to extend this de-cluttering to my books, arguably my second largest collection of items at the time. I hoarded books. It was awful. When I was done sorting them, I had filled 6 medium-sized Home Depot boxes with books I had already read. Another 4 boxes with books I will never read, 4 boxes with textbooks, and then I kept another bookshelf of books I wanted to read in the future or wanted to keep. Over time, I realized that half of the books I kept were books I didn’t want to read anyway! I used to think that starting a book meant I had to finish it. I pushed myself to the ending because I thought every book had something to offer. That is generally the truth (with a few exceptions), but it doesn’t mean I enjoyed the reading process throughout its duration. During the de-cluttering process, I started realizing that life is too short for that. Reading should be done for pleasure. Now I pick up a book, and if I do not like it, it immediately gets passed on to someone else. De-cluttering books and clothes freed up so much of my room, let alone my life. I started to crave the absence of material things. My physical self felt so much lighter, if you can imagine that. I went from wanting to buy a new article of clothing every weekend, to buying less than 10 in the last year. I went from buying all the books I can carry at library sales and used bookstores, to wishing only to borrow books from the library or getting electronic copies on my kindle. Can you even imagine how much space a person frees up if they go from 500 books on the shelf to a single rotating book from the library? Or a single slender kindle by your nightstand? As a follow up question, do you even realize how much money you save? And going past money, look at how much time is freed up. No longer are you reading books just to say you read them. No longer are you standing in front of your closet for thirty minutes trying to choose what to wear. This opened up a lot of time for me, allowing me to explore the world, to learn new crafts, and to spend time with my loved ones. So I kept on going. I went through everything I owned and re-assessed whether they were of use to me or whether they brought me joy. And when I finished the process, I started all over again. Things that initially were hard to let go, became easier to let go during the second round. And the third round. As I parted with more things, the less I needed. More importantly, I realized the gifts that living a simple life had to offer. Something in my brain clicked. Life became more about the people I spent time with, the hobbies that made me happy, the milestones that made me a stronger person and the achievements that made me grow. And this is why I named my blog, “The Simple Life”. I would never have had the time to start writing again if I did not go through this change. I realized that I was working to become a minimalist, in order to be a maximalist. I was minimizing the amount of STUFF that surrounded me, which allowed me to maximize reaching my true potential. And just like that, I was hooked. And then something terrible happened right after I graduated and Mike and I moved in together. I suddenly became obsessed with furnishing our new place. I wanted to buy new furniture. I wanted to have it look a certain way, like warehouse meets bohemian meets mid-century modern and all the other bull crap that they feed you when you look through housing magazines in your average dental office’s waiting room. I bought and bought and bought, even before I started working, with money I didn’t have. I used money that Mike had saved up. Now our home looks amazing, and I love coming home to it every day! It is perfect in my eyes. But as time went by, I realized there were some things that we purchased that really is not the SOURCE of my happiness with this home. I do not love coming home to our loft after a long day of work so I could stare at my furniture. Instead, I love coming home and seeing Mike lying on the couch with his legs swung over to the side watching League of Legends on our projector. The couch and the projector were not the things pulling on my heartstrings. Also, we spent about $1000 on 12 dining chairs from RH. Don’t get me wrong, I love those chairs. They look cool and sleek and are comfortable and fit perfectly around our 12 foot dining table (A 12 FOOT DINING TABLE GUYS! I mean, Jesus!). But that’s not what made me happy. What made me happy is hosting a gathering for friends or family every week and having those chairs so that we could all eat a meal together. What made me happy were the PEOPLE, not the THINGS. We got Mike this beautiful RH computer desk, which is a modular system, meaning we could add more units to it over time (kind of like a sectional couch). We said we were going to buy an extension for myself after I started work and earned money for it. To this day, almost one year later, I have not bought myself the extension. I slowly started to realize that I did not need a desk. We get ourselves into these homes, with so much SPACE. And because there is the space, we feel the need to fill it with STUFF. I realized in the last year that none of this is true. As I continued to de-clutter in all other aspects of my life, I was momentarily swept away by the idea of starting a beautiful home that I forgot what I was actually working towards. I started to feel like I needed to pick up more work hours, so I could BUY those dining table chairs. Imagine! Feeling the need to tie up your time with work so that you could earn more money to buy more stuff. Less time, more stuff. Therein lies the trap. And then, two months ago, I decided I wanted a house. Mike and I heard of this amazing program for doctors that would allow us to buy a house, well, now. Right now, we are able to get a loan for a house close to one million dollars. ONE MILLION! That is a really big number. I became obsessed and threw myself into a headlong search for homes in the area, which are crazily spiking in value, by the way. As I looked for more homes, I became more and more grossed out by how large they were. How much excess space they had. There was a living room, AND a family room? A breakfast nook, AND a formal dining room? But why? I started to fall more and more in love with older, single story homes. I became obsessed with Eichler homes down the street. The smaller the better. Homes that nears 1600 square feet seemed extremely large to me. I started to look at homes because of their design, not because of their size. But even buying a house is a concept society tells you you should do in order to be successful. And even now, it’s hard for me to unwrap my mind around it. Yet another THING that I was told should be purchased in order to make me happy. And I am not saying it won’t make me happy. I think living and owning an architectural piece of history like an Eichler would be AMAZING. But who’s to say I am not equally as happy living in my current loft? We all know that the happiness level can only be so high. And I am VERY happy here. Lucky for me, something happened last week that really pushed me to step back, and re-analyze whether buying a house right now is right for us. When I graduated dental school, I left school with a huge loan. Bigger than any other school loan I have heard of, I graduated with a debt of over $560,000. In order to pay back this debt in the standard 10 years, I would have to commit to 10 years of payments of over $6,500 a month. Think about how your life would be different if you spent $6,500 a month towards paying back a debt. Obviously, that is a huge chunk of change for most people. It was an impossible task. So we had agreed to commit to a 25 year loan forgiveness plan called IBR to get rid of this massive amount of debt. In essence, this program allows you to pay only a percentage of your income and then on the 25th year, the loan is forgiven, but you have to pay the taxes of the left over amount, which would mean that on the 25th year, you would pay over $477,000 in taxes. But it’s a more doable program because you get to raise this money over the course of 25 years and meanwhile, you only pay a small amount per month. Our financial advisor agreed with us and told us that this is the best way to go. We started working with a budgeting tool called YNAB to get a better grasp of our finances and to plan out a future of 25 years worth of fun, but also, 25 years worth of saving money for this massive repayment when the loan is forgiven. Last week, I got on a call with my advisor, expecting to discuss with him about the possibility of buying a house. We were going to go over what we have been saving (on average) the last few months since the wedding, and we were going to use that to determine what a good price on a home would be, and also how much we should set aside each month for the loan repayment. And then he proceeded to tell me and Mike something that we never thought we would hear. He said that we are saving so much money, that we could arguably pay back my student debt in ten years or less WITHOUT changing our lifestyle. I was floored. And that’s when something in me clicked again. I am in a lot of debt, and here I am, ready to sign up for even more debt, for something that I was taught would define “success”. Mike and I knew how much we were saving a month, but when I heard our financial adviser tell us that we were saving so much money that what we once thought was insanely impossible could be done, I really truly woke up. And it is here that I want to drive in two points. First, I can attribute the amount of money that Mike and I are successfully saving to the fact that we have significantly decreased our spending since the wedding. Simple as that. Do you keep tabs of where your money goes? Every penny? With YNAB, I now do, and I am able to curate my money-spending decisions and habits based on money-spending mistakes which I made in the previous months (I would be happy to write about the envelope system that we use to help us manage money in a different post). And with this comes power. Imagine if you just stopped buying things. If you just paid for groceries (and when I say groceries, not even an excess of groceries. I am talking about enough food to sustain you but not enough food to make you gluttonous), a roof over your head, and other bare (and I mean BARE) necessities. Do you know exactly how much you would save? Obviously it’s different for every person but I can tell you that it is a lot more than what you are saving now. Minimalism, or at least mindfulness with consumption of goods, has REALLY changed my life. It’s changed my way of thinking so completely that not only do I have more time, I also have more money without me having to work hard to make it that way. And this isn’t to say, live like a hermit and never succumb to any pleasures. I spend a lot of money on things that make me happy, including activities such a yoga, ceramics, and guitar lessons. I have no problem at all with spending money on things that will progress you towards becoming the person you want to be. But if you want to truly save money, don’t buy into the goods and the hype and the CRAP that they spew out at you. I have never, in my life, had excess money. But I have always had excess stuff. And my second point is this: So many people need stuff so desperately that they are willing to add more debt and give away more of their life and their freedom in exchange for said stuff. How many people reading this have a car payment? A student loan? Credit card debt? A mortgage? I know I do. Did you know that the total debt owed by US consumers is $12.58 trillion as of 2016? 12.58 trillion! The Minimalists Joshua Millburn and Ryan Nicodemus put that into perspective really well. There are 60 seconds in a minute, 60 minutes in an hour, 24 hours in a day, and 365 days in a year. 12.58 trillion is 398,909 years worth of seconds. You have no idea how much that stuns me. Did you know that the average household has debt with six figures? I came from a family where debt was always the answer. I will go over my money egg and experience with debt while growing up in a different blog post, but debt is never the answer. I went into debt to invest in myself and to pursue a passion that I dreamt about since I was eight years old. But that STILL doesn’t make it good debt. And I made bad decisions along the way. I took out the maximum amount of debt and spent the money on vacations. I worked three jobs in undergrad only to spend more than what I earned on going out with friends or on new clothes. Like I said, I was fooled. And even though I am getting better at realizing this, I was about to sign even more of my life away for something that I do not NEED. I should have learned my lesson about debt by watching those around me. Debt needs to be paid off ASAP. There IS such a thing as Financial Clutter. And if I truly wanted to minimalize and de-clutter in order to live a more meaningful, passionate life, I realized that I needed to get rid of this debt. I suddenly felt silly for wanting to keep up with the Joneses, for wanting to show the world what I can “afford”, in quotations, because I do not believe people buy homes they can actually afford. They buy homes their future selves would be able to afford, after a lot of work and time and years. I knew right away that buying a house was not the correct answer. Shouldn’t I have seen the warning sign when my dear friend told me that their first house purchase is preventing them from actually buying the house of their dreams. Tying them up like prisoners to the house they chose to live in. Weren’t the ridiculously rising house prices in this area over the past two months enough to make me stop and think if now is the correct time? How could I not realize that buying a house right now would be a mistake, when my co-worker who has been working for over 15 years chooses to wait one more year to buy a home? These were all questions I was asking myself after I realized what I was doing. And there was only one answer. I truly believed that if I bought a house, it would show the world how adult I’ve become, how successful, how tasteful, how smart. De-cluttering and minimalism was the best journey I ever embarked on, and it was a decision that changed my life forever. And now, we are making another big decision that will also change our lifestyle in the next ten years to come (for the better!). 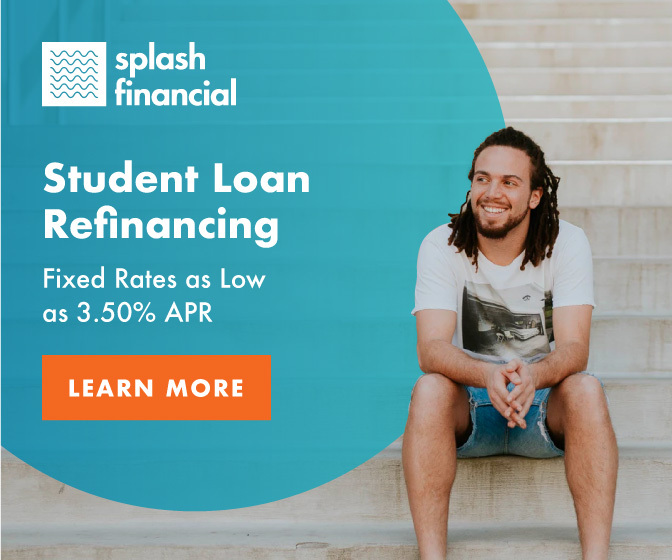 I am choosing to pay back my student loans aggressively, and to channel my energy into being debt-free (more on thoughts about debt to come in a future post). Where people are throwing themselves into work to get more money to buy more stuff, I am going to throw my energy and resources to RID myself of stuff. I want to choose the presence of people, the presence of mind, the presence of everything else but excess consumer goods. And I am most definitely choosing the absence of student debt. Join me in reading about how this decision, and all other decisions about simple living, shape our life. I have a feeling that it will enrich our lives that much more. I am not a minimalist by any means, but strive to live like one, in order to be a maximalist in other, more important things. Posted on May 4, 2017 May 5, 2017 by cordeliabyrantPosted in LifeTagged compulsive consumption, debt, decluttering, financial clutter, marie kondo, Minimalism, student debt, The life changing magic of tidying up, theminimalists. Previous Previous post: We are more than ourselves. Next Next post: Thoughts on: Simple. Spirit.